For fad diets, gluten-free means cutting out bread, pasta and beer; it’s a preference, not a necessity. Celiac disease, on the other hand, is an autoimmune disorder. When someone with celiac disease ingests gluten, the body’s immune reaction is to inflame the lining of the small intestine, damaging it and preventing the absorption of nutrients, which can ultimately lead to more serious medical conditions and complications if it goes on undiagnosed or untreated. Symptoms vary, but the most common are stomach cramps, bloating, diarrhea, fatigue and heartburn. The body can heal if the sufferer follows a gluten-free diet; however, the gluten protein (found in wheat, barley and rye) can be found in unexpected places like vinegar and soy sauce, which means one must be mindful of ingredients going into or on top of a dish. I have celiac and for me, eating in has been an easy adjustment over the last year, but eating out has been the hardest part because eating gluten-free has become a fad. Since the fad diets only require avoiding gluten for caloric purposes and not dietary needs, most restaurants have been happy to accommodate with a burger served without the bun. In the last decade, more people have been diagnosed with celiac and the gluten-free menu options have grown, which is great, but restaurant staff still think a naked burger is sufficient. To properly prepare food for someone with celiac, a kitchen needs to have a designated gluten-free area or, at the very least, break out designated gluten free supplies when an order comes in. 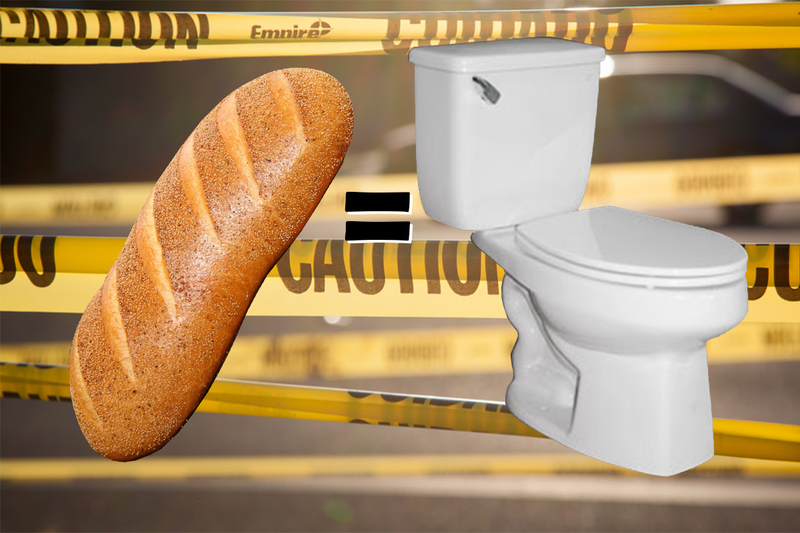 Designated supplies are imperative because gluten proteins can be absorbed into porous surfaces like plastic and wood. Meaning no matter how thoroughly you clean them, you run the risk of contaminating gluten-free food with gluten proteins if you continue to use plastic and wood for both gluten and gluten-free foods. Restaurant staff also need to be trained on hidden sources of gluten, such as vinegars and other sauces that go into a dish, to eliminate the threat of cross-contamination. I have heard directly from restaurant staff, off hours, that some cooks think it’s too much of a hassle to go through all of that and that “gluten-free” is a bunch of BS — it’s just a fad — so they are likely to simply remove the bread from the plate when an order comes in with “celiac” on the ticket. I recently ordered baked brie and informed the server that I have celiac. When the order came to my table, the brie had gluten-free crackers on one side of the plate and regular crackers on the other, illustrating the severe lack of understanding in the industry, whether on the side of the server for not communicating my dietary restriction or the kitchen staff for not taking it seriously. In the last year, I have been “glutened” more than 50% of the time I have eaten out. I have resigned myself to only eating at the couple of restaurants I know take celiac seriously. If I’m meeting up with friends, I have resorted to packing a meal I can eat in the car before I go inside so I don’t have to risk whether the restaurant will take my celiac seriously. With a growing number of people being properly diagnosed with celiac versus IBS or leaky gut, I’m optimistic the tide will shift and more restaurants will take the necessary precautions for their patrons. In the meantime, my plea to restaurants is to help your staff understand that celiac is legitimate and if your kitchen can’t accommodate a truly gluten-free request, please be honest with your patrons. We are more likely to become return customers or recommend your restaurant to a friend if you’re honest than we would be if we get sick.